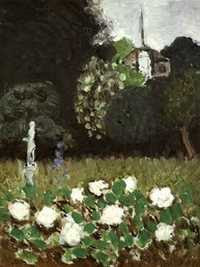 This 1920 painting by Henri Matisse, Le Jardin (The Garden), which was stolen from the Museum of Modern Art in Stockholm in 1987, has been recovered by an art recovery specialist in London. A Polish collector offered the painting to Charles Fine Art in Essex, just before Christmas. A due-diligence search of the database of the Art Loss Register (ALR) revealed the painting to have been stolen. ALR director Christopher Marinello negotiated with the collector for the return of the painting, worth £620,000 ($1m). "No payments were made, no arms were broken," said Mr Marinello. The painting will be handed to the Swedish Ministry of Culture for its return to Stockholm (CLICK).